Happy Sunday everyone! I hope you had a wonderful weekend. Around here we have been enjoying the last warm days of the season before the cold weather arrives. But despite the warm weather there is something in the air that feels like fall; the deep colors of the foliage, pumpkins everywhere you look and wanting to knit petty things with cozy warm yarn. 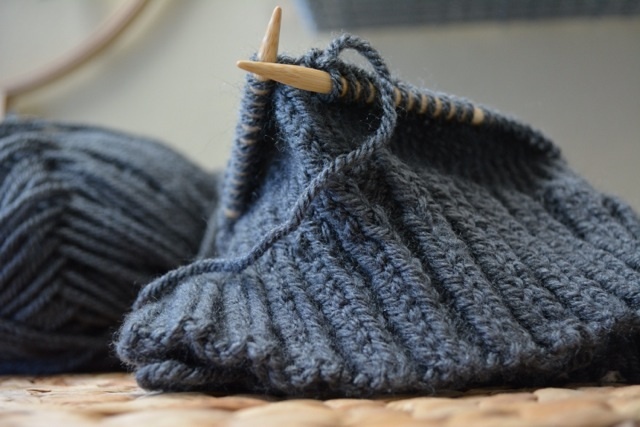 I had so much fun knitting the cowl I finished last week (you can see it here), that I decided to start a new knitting project. 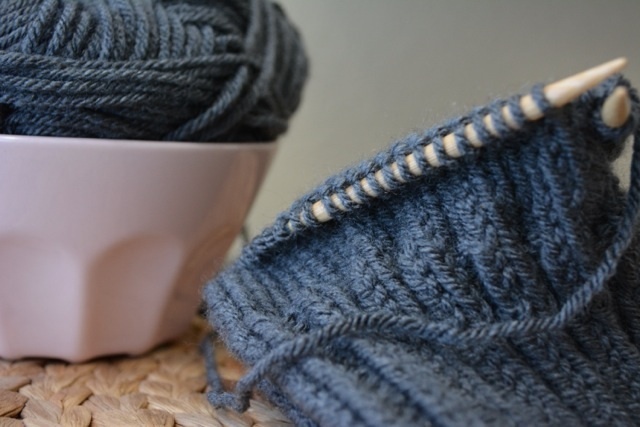 On Saturday I began knitting a hat for my husband. 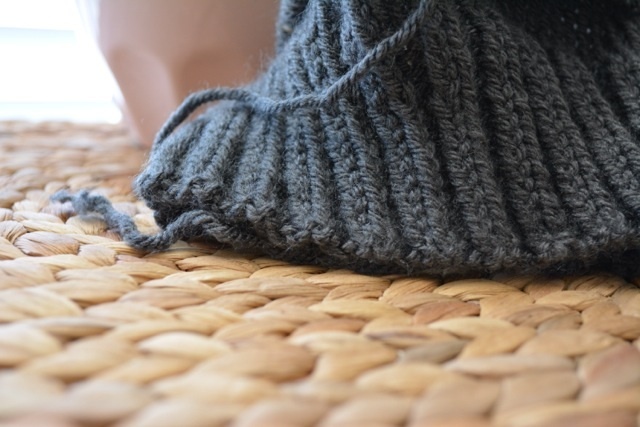 This a very simple pattern, but it is certainly and exciting one since this is my first time knitting on the round. I thought it was going to be more difficult, but it is progressing rather quickly. I think I'm going to finish it sooner than I thought.